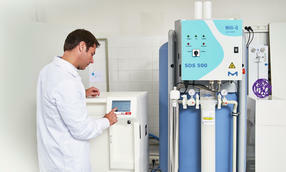 Milli-Q® Services for Your Water Purification System - - Enhance Performance. Extend Lifetime. Optimize Your Investment. Enhance Performance. Extend Lifetime. Optimize Your Investment. Your Milli-Q® water purification system is a sophisticated instrument that contains highly sensitive and complex technologies. 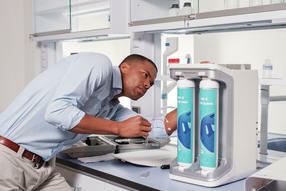 Get the best performance from your purification system from the people who designed and built it. 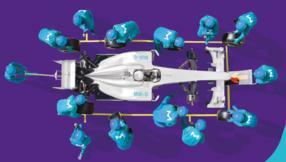 We provide a range of services and service plans to meet the different needs of our customers. Our Milli-Q-certified field service engineers provide on-site professional support for the installation, validation, and maintenance of your individual and total water solutions. Our range of best-in-class Milli-Q Service Plans can be tailored to match your lab’s application, quality and budgetary needs. All plans include an annual Preventive Maintenance Visit consisting of a comprehensive check of system specifications, replacement of aging parts with our Maintenance Kit, hydraulics and mechanics inspection, and much more. Visits are accompanied with a detailed diagnostic report and traceable record of care. Replacement parts are always genuine, having passed stringent quality tests and are ISO 9001-certified. 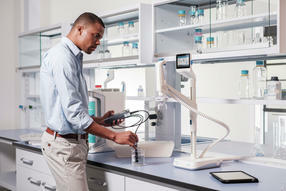 We can also provide assistance for regulated environments with our Milli-Q Service Pharma™ Plans. These plans are designed to ensure you are fully compliant when audited, covering all elements required for full system requalification (qualification protocols, maintenance procedures and qualification test equipment). Additional support services are available to meet your lab’s specific needs, including installation services, tank and loop sanitization, and customized user training.